changed life as we know it. We convert challenges into great results. 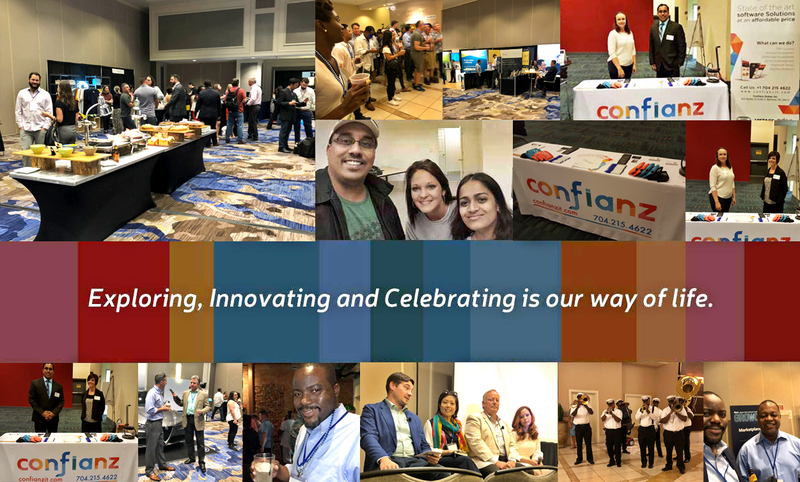 Confianz Global was founded over a decade ago by CEO, Anoop Menon, with a vision dedicated to providing the most reliable, innovative, and customer-focused IT services to organizations. Confianz Global was truly a product of the new millennium and since its creation, the company has undergone exponential growth alongside the rapidly changing IT industry. Being a global enterprise established strongly in the US, Confianz Global is proud to provide quality software services to clients in almost 50 countries around the world. The culture and team at Confianz Global are interactive, creative, and mission-focused. Each and every one of us thrives on the satisfaction of our customers and seeing our work contribute to our client’s success. With streamlined communication and effective software solutions, the businesses we help have the opportunity to develop and grow at an unprecedented rate. We know that there are many choices out there for business software, services, products, and the companies that offer them. We often hear companies talk about the difficulty of trying to make the right choice. This is where we at Confianz Global are ready to step in to help you. 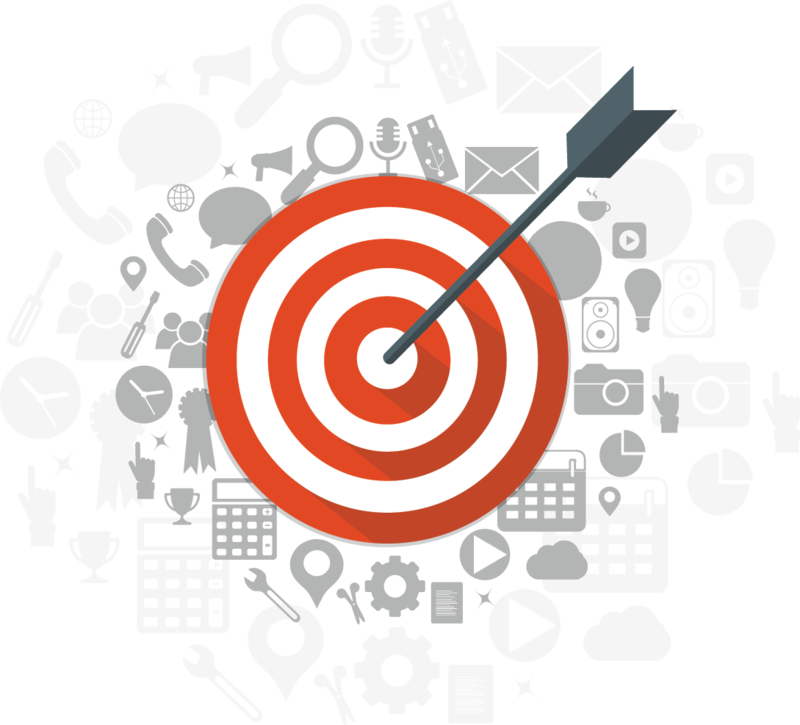 We build end-to-end integrated solutions for a complete automation experience that promotes business growth. Our solutions range over multiple domains including ERP systems, design, and development of custom websites, web/mobile app, and other dedicated customer defined development projects. Confianz Global has also built a strong reputation with its expertise in ERP implementation, customizations, and integrations using OpenERP/Odoo. Whatever solution you are seeking or problem you have been trying to solve, our team is equipped with the right resources and expertise to provide and perfect a software solution that is right for your unique business. We guarantee our work and our client’s satisfaction is our number one goal. At Confianz Global, every client and project is given the level of dedication that we have become known for and we believe that no venture is too big or too small. Whether you know what you need or are seeking direction, we look forward to helping you achieve your business goals with the most reliable, innovative, and customer-focused IT services around. To solve customer problems using state of the art technology, write the best possible optimized code, and go to any extent to make the end customer 100% satisfied while investing in our work culture, contributing back to society and making a standard profit. Customers are the most important constituents of our eco-system. We always strive to provide the best solution to our customers to make their life easier and more efficient. Even in troubled times, we only think positively. This helps us to stay focused on the present while planning for the future. For us, change means the ability and opportunity to learn something new. In the IT workspace, change is inevitable and we look forward to embracing it and accepting new challenges. The easiest way may not always be the best solution. We strongly believe this. Time is the most valuable investment. For us, quick and prompt communication with respect and honesty is of prime importance. Whenever we get close to our goals, individual & organizational, we advance to raise the bar further as we believe in moving closer to perfection. There is something new we can learn every day. We do hackathons for fun but never involve hacks in our IT solutions. Suits and ties are not sufficient factors to evoke professionalism and focus at work. We have an open culture that entertains creativity and keeps stereotypes at bay. Whatever needs to be done today, is done Today. We all speak and follow the EOS. Anoop holds a bachelor's degree in Computer Science Engineering and lives in McAdenville, North Carolina (Christmas Town) with his family. He is an avid reader and mainly enjoys books on technology and leadership, as well as biographies. When not working, Anoop is active in local charity organizations in the Charlotte suburbs. Mr.Menon is also a technology advisor to some successful businesses in South & North Carolina. 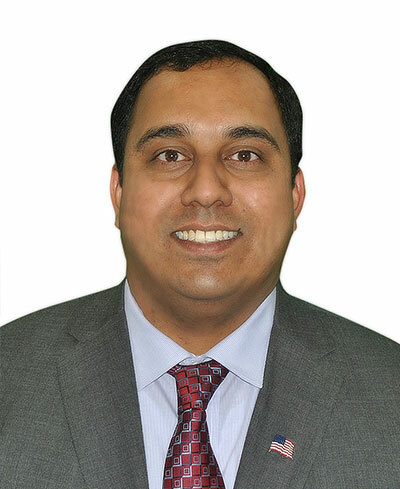 Prasanth has been with Confianz since its inception in 2008 and has directed projects for SMBs as well as Fortune 100 companies like AT&T. An avid technologist with a background in Computer Science, Prasanth enjoys spending his free time on the internet learning about emerging tech. Robert Aldrich is President of Aldrich CFO Services, Inc. His firm serves as part-time fractional Controller or CFO for early and growth stage companies in the Charlotte region. Prior to starting his own company, Robert served 8 years as Director of Finance and Operations for Ventureprise, Inc, served 4 years as Senior Regional Accountant for InterNET Services Corporation, and served 4 years in public accounting. In his free time, Robert enjoys spending time with his family, playing golf, and riding his motorcycle. Melissa has lived in Georgia, Florida, and North Carolina before settling just over the border in Rock Hill, South Carolina. According to her, as the Operations Manager, her responsibilities include “everything but sales”. She has a passion for animal welfare and enjoys donating to local rescue groups. When not working she enjoys hanging out with her dogs and playing tabletop games with friends. Vinod SP joined Confianz in 2011 to lead our development team in OpenERP/Odoo. He is the brains behind all our Odoo customization projects. With a background in Computer Science, Vinod enjoys learning about emerging technologies and keeping at the forefront of OpenERP/Odoo advancements. Vinod's key area of expertise is US Accounting and Finance using Odoo. Betsy is responsible for Confianz Global's Accounting department. She has over 30 years of accounting and management experience in fields as diverse as retail, food service, transportation, manufacturing, construction, and agriculture. She also brings extensive knowledge of payroll, insurance, and human resources. Betsy resides on her family farm and in her spare time enjoys gardening, reading and needlework. Sean was born in Brooklyn, NY and has been a Carolina resident for over 30 years. He has always had an entrepreneurial spirit, owning several successful businesses since 1998. With a strong belief in social responsibility, Sean is involved with several community organizations and charities that cater to others. In his spare time, Sean enjoys the game of billiards and being a part of several teams and leagues on various levels. Sean brings his competitive nature and knack for excellence to the Confianz Global team. He takes ownership of all projects and brings added value to each company and client as if it were his own. Ben Dominitz is the founder and former CEO of Prima Communications Inc., a book publishing and internet content provider that he sold to Random House in 2001. Ben and his wife started Prima and grew it to $100 million in revenue and made the Inc. 500 list twice before merging with Random House of New York. Currently Ben is a Vistage chair and he is a mentor and coach to Mr. Menon. Watts is the President and Owner of Carolinas Insurance & Investment Group based out of Rock Hill, South Carolina. As a member of the prestigious Million Dollar Round Table (MDRT) and the Leading Producers Round Table (LPRT), Watts has been recognized for his outstanding sales record nationally and in the Carolinas. Watts serves on several local Board of Directors and is passionate about supporting local charities. He has two children, Olivia A. Huckabee and Ansel W. Huckabee, Jr.
"We owe our success to a bundle of good strategies developed and practiced, making it a point to being good listeners and selecting the right customers/partners to work with." "In a relatively short span of 6 years, Confianz Global has grown to be a trusted IT service provider for some of the top product companies across the world. We owe our success to a bundle of good strategies developed and practiced, making it a point to being good listeners and selecting the right customers/partners to work with. Being able to make the right choice helps us remain focused and provide quality services of ample value - a step beyond customer expectations. Technology is moving in a swift pace that many organizations find it very difficult to cope up with the ever changing trends. With thousands of outsourcing destinations and millions of providers, it is always a tough question as to whom to partner with for your technological needs. We have been approached by customers with breakthrough ideas, but having vague ideas of how to get things done to achieve their dream result. We make it a point to educate them on what to expect, how we lay down the plans and how we execute to make sure it�s an all-win situation. We also have the hands on experience on providing off shore staffing and product/solution development where all unforeseen incidents like attrition, emergency situations are taken care of. At Confianz Global, we give utmost importance to professionalism, transparency and integrity to fulfill our aim of being reliable partners to our clients. We approach things practically and work on real projects that suit our skillset. We do not fit into the line of providers that say �yes� to tasks that do not fit into our regime, only to under-deliver. We put in constant efforts at exceling in what we do and learn new things on a daily basis to deliver and be known among the best of organizations in the world. We are house to a pool of resources who have the passion to innovate and can bring out the best in themselves at the most needed hour. Our hiring is aimed at discovering individuals who can make an impact at the organization and can impart sufficient values to clients on every interaction. Good communication and analysis skills, positive attitude and ample knowledge to suggest and deliver the best solution are a must to be a part of Confianz Global� we make no compromises there. There is no one-size-fits all philosophy, we work with each client individually to build customized solutions for their unique requirements. With our ethical work culture and professional, yet joyful way of working together, clients view us not just as another vendor, but as partners working hand-in hand in a mutually beneficial manner where everyone grows together. We believe in being a Nimble and Smart company and also advocate these qualities to our valued clients/partners so as to move forward with traction. Our customers have counted on us and their feedbacks bear testimony to the reliability and credibility of our services. We are immensely thankful for the trust they have put in us and would continue to do justice to their expectations. We are more than pleased to know that our efforts have borne fruits in making your business prosper in the competitive market. Confianz Global family always looks forward to having you join us in the journey towards excellence. Thank you."